Reception following in the church hall. 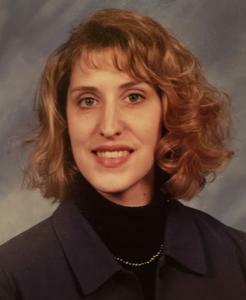 Elizabeth Anne Money, born December 6, 1971, passed away suddenly at her home. Elizabeth graduated from Sault Area Public Schools, got her bachelor’s degree from Alma College, and her master’s from Lake Superior State University. She loved to travel and meet new people. She visited France, Britain, Turkey, Japan, and Italy. She also travelled extensively in the United States. Elizabeth was a very creative person who loved her home. She was very active in the community and enjoyed helping others. Elizabeth worked for the Family Health Center as Project Coordinator and was a member of the Kalamazoo County Historical Society, P.E.O., a volunteer with the Kalamazoo Anti-Human Trafficking Coalition, and a member of the First Presbyterian Church. Beth was predeceased by her father, Robert Money; grandparents: Esther and C.V. Money of Marquette, and Margaret and William Niemetta of Grosse Pointe. She is survived by her mother Margaret; brother Thomas; aunt and uncle Cristin and Mark Donovan; and several cousins. Services will be held at the First Presbyterian Church at 3 PM on Thursday, July 5. A reception will follow in the church hall. In lieu of flowers, memorial contributions may be made to Kalamazoo Anti-Human Trafficking Coalition and YWCA of Kalamazoo. Please visit Elizabeth’s personal memory page at www.BetzlerFuneralHome.com where you can sign her guestbook and share a memory. Arrangements by Betzler Life Story Funeral Homes, 6080 Stadium Drive; Kalamazoo (269) 375-2900.